Click fast because these Studded Pumps won't last for long. 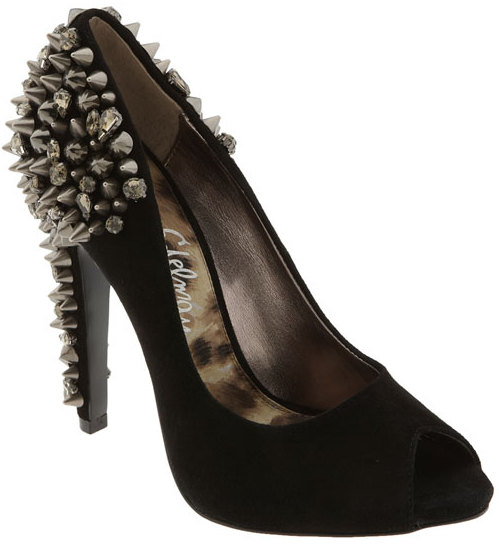 The Sam Edelman Lorissa Pump is on trend, edgy and will definitely make a statement. Be a star in these studs. Click the pick to get an edge up in fashion now. SORRY. Size 11 and 12 are SOLD OUT. You can still get the SAM EDELMAN LORISSA PUMP at Zappos.com for $200.95 in sizes 5 to 10. 4.5 inch heel.